Rhett has joined the family! You can view his pedigree here. And his health clearances here. Rhett is a fun loving guy who loves his freestyle dance class! 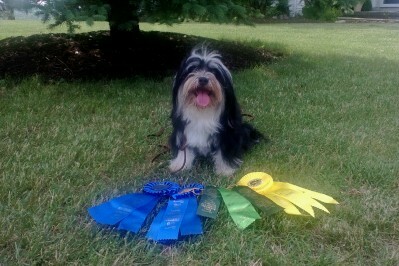 Rhett earned is Novice Rally Obedience title at the Dunkirk shows 6/1/2013. In 3 trials he scored 99, 98 abd 97 (out of 100)! Rhett earned his Rally Advanced title at the Albion shows in September, 2013 and his Rally Excellent title at the Syracuse shows in November, 2013. Look for lots more obedience from Rhett! 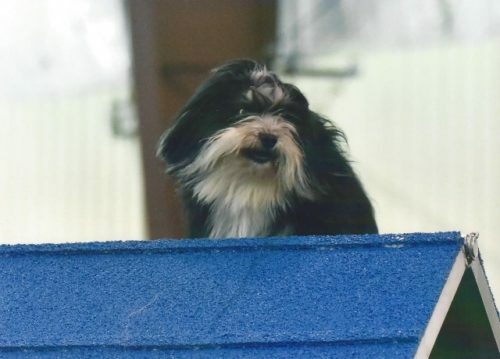 Rhett is amazing natural agility dog and in less than 12 months earned his AKC Open Standard and Novice Jumpers titles. 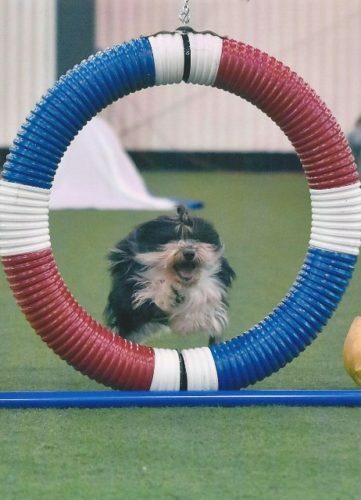 As of May 2016 he has earned his Agility Excellent Standard title and his Open Jumpers with Weaves! In June, 2016 he earned his Preferred Novice Obedience title. He is also an amazing therapy dog, making biweekly visits to an assisted living facility and a memory center.